At the heart of an open society is the free flow of information. Delivery systems of those messages may change with development of new technologies, but the need for trained communicators to gather, synthesize, verify and disseminate that information remains constant. 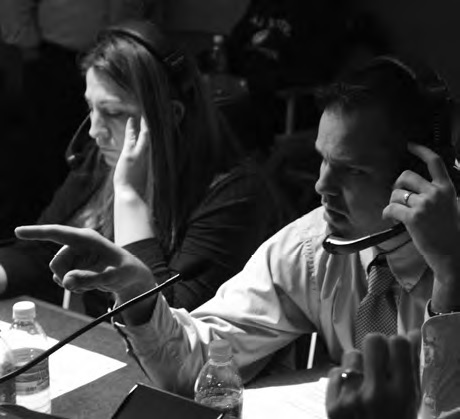 Training those communication professionals is the mission of the College of Communications. Academic programs in the College of Communications prepare students to work in a number of media-related industries, as well as related fields in business, education, government, healthcare, entertainment and more. Communicators may be objective reporters of news and information, persuasive advocates on behalf of clients and organizations, or trained specialists enabling others to communicate effectively. Drawing heavily on strong theoretical foundations in the liberal arts and social sciences, the College of Communications applies the tools and techniques of today’s ever-changing environment to match messages with audiences and provide students with the skill-sets to enjoy successful careers in an increasingly global competitive arena. With strong linkage to the professional community, the College of Communications offers an exciting opportunity for state-of-the-art education combined with the highest ethical and professional standards.